Whisky Online – New Stock! Summary: Islay Single Malt Scotch Whisky Distillery Bottling 70cl / 46% The run of three consecutive 1990 vintages that Ardbeg released are widely considered to be the distillerys last gasp of greatness before aged stocks were all but dried up. This is the 2008 18yo edition and it is a spectacular whisky. The epitome of that unique early 1990s Ardbeg style. Summary: What better way than to add a touch of water to your favorite whisky with this stylish water jug branded with the Ardbeg logo this time with a handle for easy pouring. Summary: Island Single Malt Scotch Whisky Distillery Bottling 70cl / 59.8% This Arran from cask number 103 has matured in Bourbon and was bottled in November 2008 with a yield of only 225 bottles at 59.8% Vol. A fascinating snapshot into a four year old peated variant of Arran. Very invigorating tasty and intriguing. Summary: Blended Scotch Whisky (still in original wrapping). Summary: Blended Scotch Whisky 70cl / 43% The 21 year old is a really refined blend dependent on 50 single malts four single grains Ballantines base their whiskies around malt whisky from distilleries from Glenburgie and Miltonduff. Summary: Blended Scotch Whisky 75cl / 43% Ballantines limited edition from reserve casks. 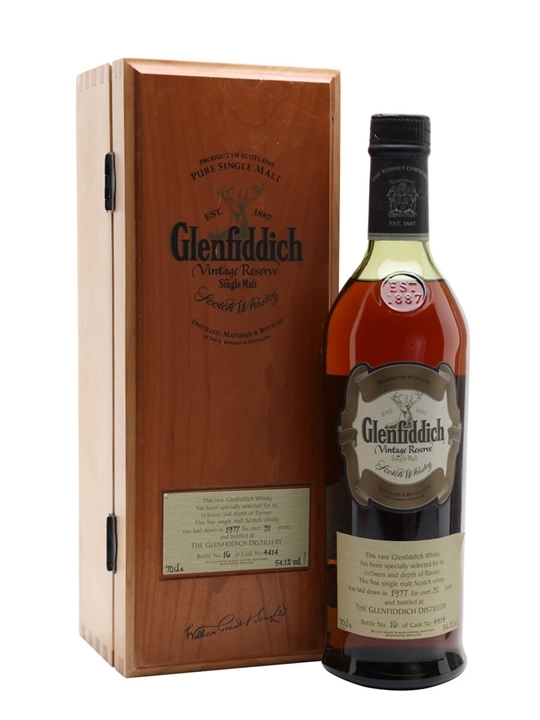 70cl / 54.1% / Distillery Bottling – This year’s cask-strength vintage release from Glenfiddich is from 1977, and the reviews we’ve seen so far have been uniformly excellent. This is supposed to be the best for some time.